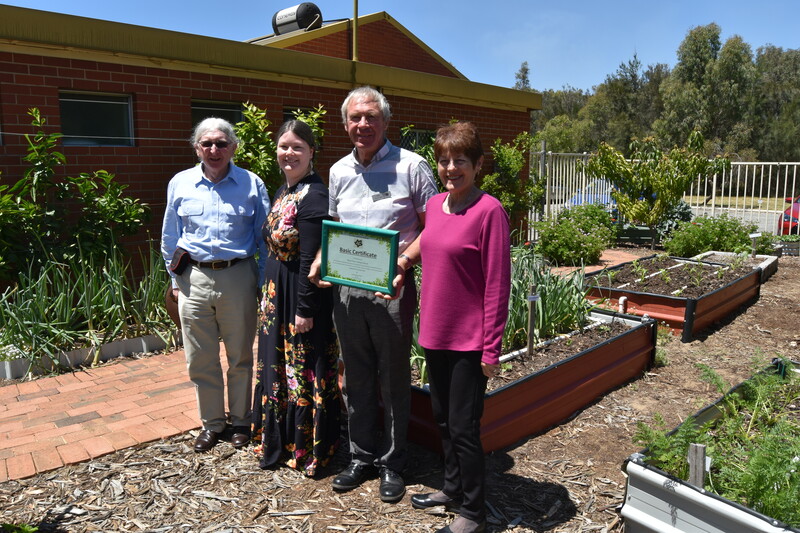 Swan View Uniting Church was recognised for its community garden and environmental efforts on Sunday 30th of October 2016 in a special service and celebration. 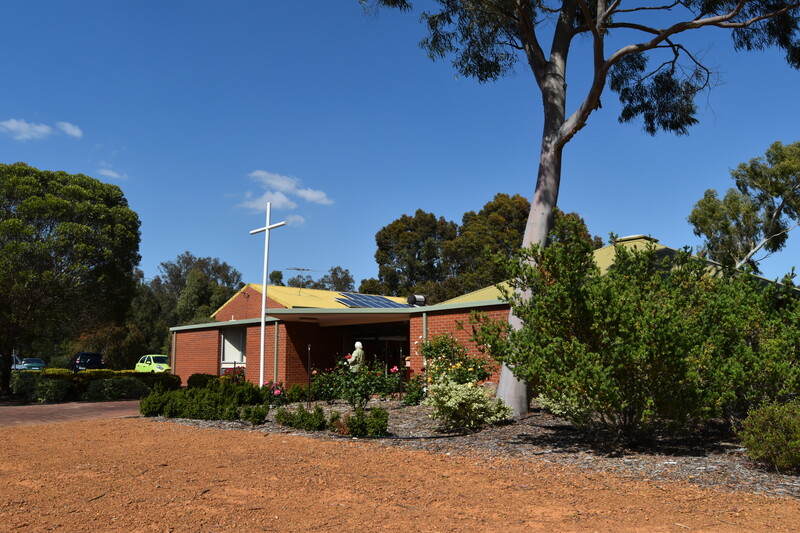 The church was recognised with a Five Leaf Eco-Awards Basic Certificate for their water-saving native garden; solar hot water system and solar photovoltaic panels; community green waste collection, chipping and compost program; educating their church and community about gardening, compost and sustainability; and their community garden, which was established in partnership with the Swan View Community Association. 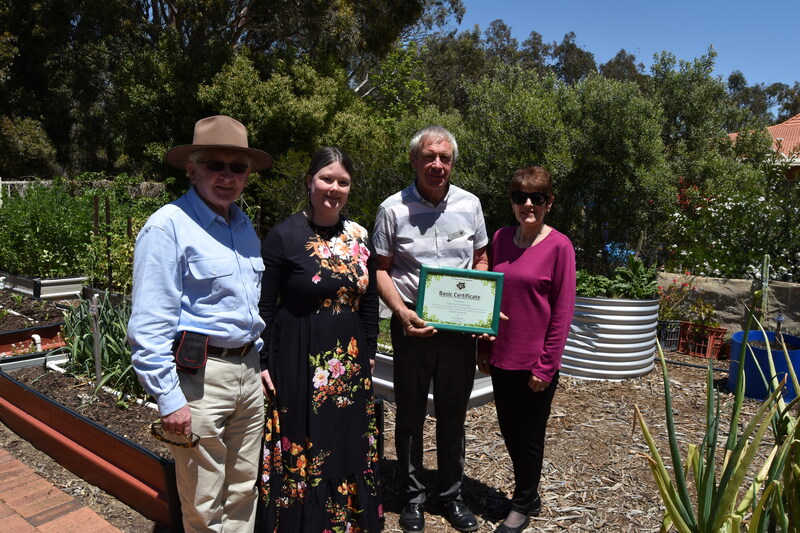 Five Leaf Eco-Awards founder Jessica Morthorpe visited Swan View Uniting Church to present the award to Mr. Neil Butcher and Mrs. Rosemary Smith, who were representing the church and community garden, and to congratulate the congregation on their achievements. 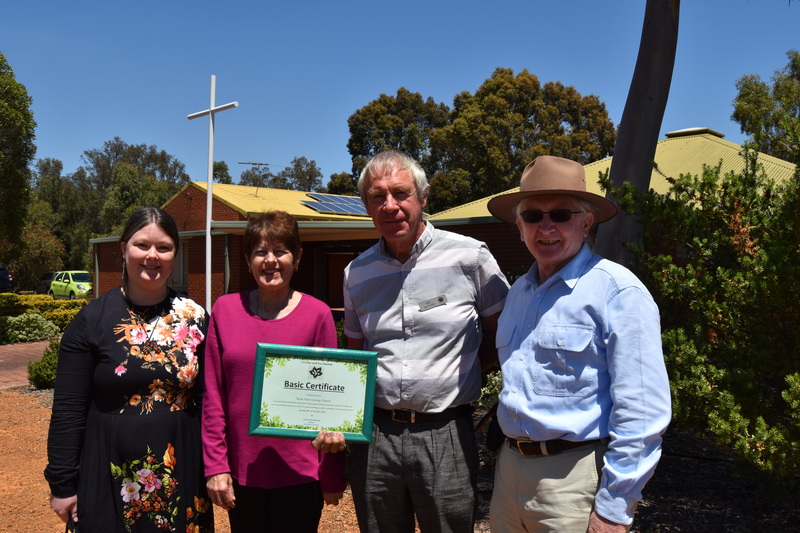 This presentation makes them the 9th church in Western Australia to achieve a Five Leaf Eco-Award and the 26th in Australia, with many more working towards completing the criteria. Ms Morthorpe said, “The Swan View Community Garden is truly impressive, and has previously been recognised with a several grants and awards. “It hosts a thriving collection of fruit trees and all sorts of vegetables, all planted in a variety of recycled garden beds, including fridges, bathtubs and old water tanks. Water is recycled through the garden to reduce waste and shade cloth has just gone up to protect budding strawberries. “Produce grown in the garden is donated to the local Salvation Army Foodbank to provide a healthier diet for disadvantaged people in the area. Local children also sometimes visit to learn about composting, and the garden has played host to a pilot therapy project helping children develop speech and motor skills in the garden environment. “Christian eco-theology and teaching on the environment make it very clear that caring for Creation is a vital priority for the Church. “All around the world churches are embracing action by creating more environmentally friendly buildings, helping members of their congregations to change their behaviour, educating their communities on sustainability and advocating with decision makers to give greater consideration to the poor and the environment. The award presentation ceremony was attended by the Rev Ken Williams (who assisted with the presentation as a representative of the Moderator of the Uniting Church in Western Australia), the Councillor for Midland and Guildford Ward in the City of Swan, Councillor Daniel Parasiliti, Nigel Hayward from Catholic Earthcare and the National Energy Efficiency Project and visitors from other Perth churches. 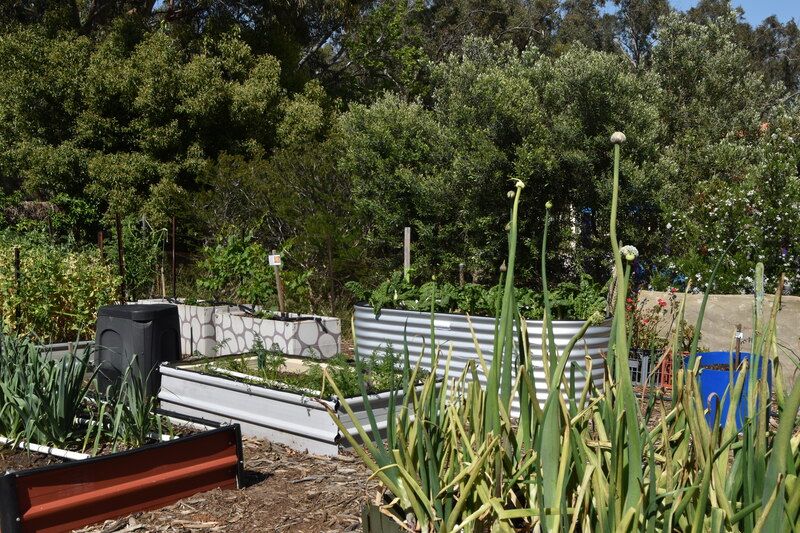 The Swan View Community Garden has been funded through multiple community grant schemes, with sponsors including the Shire of Mundaring, Open Gardens Australia, Midland Brick, Elite Limestone, Waterquip Pty Ltd, the Government of Western Australia Waste Authority, the Swan View Community Association and the Swan View Uniting Church.